What’s The Point Of Picking A 12 Inch Model Over Any Other Size? 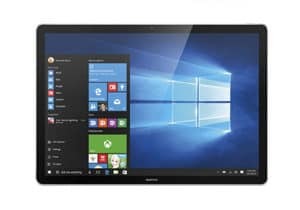 What Are The Potential Downsides To Compact 12 Inch Computers? What If I Don’t Want A Touch Screen Laptop? It wasn’t that long ago that 12 inch laptops weren’t even a category that existed! Now they’ve muscled their way to overtake larger computers, offering plenty of power in a portable package. Looking to replace your bulky old machine with a sleek, slim, and powerful notebook? We’ve got you covered with a breakdown of the five best 12 inch laptops available on the market! At this size, your options open up considerably over the smaller 11 inch style. While still incredibly thin and light, you can find some really high end machines here. To pick the right 12 inch laptop, you should focus on what your typical daily computer tasks will entail. Are you mostly sending emails? Do you need to run memory-intensive Windows software? Are you more comfortable scribbling notes with a stylus instead of typing? 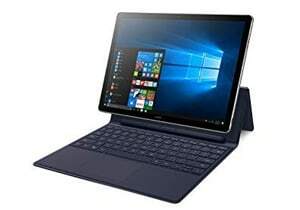 Most laptops with the 12 inch range will feature a hybrid design, so they can be used as a touch screen tablet or set into an angle like a normal notebook. Beyond that similarity, you can find laptops at this size in nearly every possible hardware configuration. Let’s take a look at what’s available and help you find the best option! In this year, the single best 12 inch laptop has easily got to be the Surface Book 4. It’s high end specs rival some of the best laptops out there that are much, much larger. The Surface Book with an included keyboard will set you back more than $2,000 however. If you need to stick to a much smaller budget, the Huawei MateBook E offers up respectable specs with no bloatware. Dead set on sticking with a 12 inch laptop but don’t have more than $500 to spend? This should be your pick for the best budget laptop! Huawei is a new name in the laptop manufacturing game, but don’t let that you turn you away! This is a company that is rapidly gaining dominance for ultrathin and ultraportable designs. The 12 inch MateBook is essentially a tablet with a folio keyboard that can be repositioned into different angles. Despite the size and hybrid design, you still get Windows 10 and decent overall hardware specs. To stay under $500, unfortunately you have to take a hit on the RAM. This model only features 4GB, while all our other contenders include 8GB – 16GB. You still get some great features with this mode, however. Notably, buyers often mention the super fast login with the fingerprint scanner. The chiclet keyboard is also brought up by reviewers for its very comfortable and well-designed layout on a 12 inch laptop. Two other features may propel this model to the top of your list despite its lower RAM. Huawei’s signature edition models feature absolutely no bloatware, which is a bonus that can’t be overstated. Finally, the MateBook E includes a full year of Office 365, which saves you a bundle if you prefer Word, Excel, PowerPoint, etc. over third party office programs. Looking for the most high end, cutting edge 12 inch laptop around with a hybrid design? The Surface Pro 4 should easily be your pick! 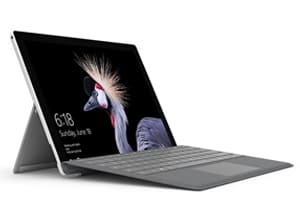 While most 2-in-1 devices feature a 360 degree rotating hinge, the Surface Pro instead uses a detachable keyboard. If you use the tablet style more often, that saves you a lot of weight and space. 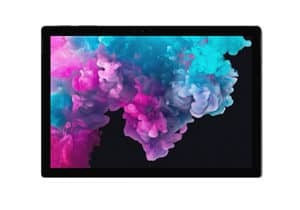 Although the Surface Pro is incredibly thin and light, it also boasts the best overall specs of all our 12 inch contenders. With 16GB of RAM and and a huge solid state drive, you can expect fast speeds and still store plenty of data. The screen resolution also has to be seen to be believed, which is the feature most often cited by reviewers. If you want a compact device with the specs of a full size laptop, this should be your pick. Just be aware you will pay a high price tag to get both power and portability in one package! If $2,000+ isn’t within your budget, you can save quite a bit on your initial investment by tweaking the options through Amazon. The Surface Pro is available with 8GB of RAM, a 256GB SSD, and a slower processor in exchange for a lower price tag. Finally, keep in mind the weight listed above is without the keyboard cover attached. When the detachable keyboard is connected, the weight is over two pounds. Looking to get in some casual gaming in a 12 inch ultrabook? 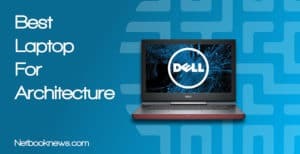 This should be your top laptop pick! Much like with the thin and lightweight 11 inch models, laptops with 12 inch screens aren’t particularly suitable for serious gaming. High end graphics cards just can’t fit into these tiny compartments. In general, you want a dedicated card and an 8th gen processor for any serious gaming. If you play games that don’t require dedicated graphics however, you can still get some mileage out of an ultrabook like the HP Elite X2. 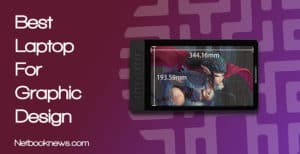 For the best gaming experience, you want to look at screen resolution, memory, processor speed, and extra ports for using an external keyboard or mouse. 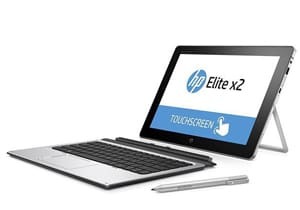 The HP Elite ticks all those boxes, and in a very light package. With 8GB of RAM and a solid state drive, you’ll have enough power under the hood to run a pretty wide range of games. With a comfortable, backlit keyboard, this is also one of the best ultrabook options if you don’t intend to use an external USB keyboard. Reviewers do frequently mention that the speaker quality isn’t great on this model, however. For online games where sound is important, make sure to get a pair of nice headphones. Willing to spend a bit more to bump up to 16GB of RAM? Check out either the Surface Book above or the HP Spectre below as well. Looking for a top-quality 12 inch laptop to use at the office? This should easily be your pick for the best portable computer! 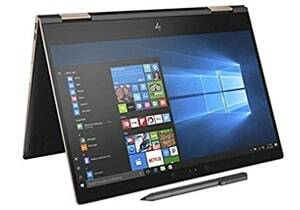 The base HP Spectre model is one of the best 13 inch machines around. So why are we including it here in this list? Because it’s now available in an even more compact 12 inch version, and it remains a very solid option for any business. The Spectre’s burnt gold and dark ash color scheme clearly say “this machine is meant for business” before you even hit the power button. There’s no question that it belongs on an expensive mahogany desk next to a leather executive chair. This isn’t style over substance either, as the specs are about as high end as you can get in a 12 inch machine. Unlike the more expensive Surface Pro, the Spectre also includes a stylus right out of the box. If this unit had a dedicated graphics card, it would be one of the best laptops out there in any size or style. Alas, the size prevents that feature, but in all other respects the Spectre can meet any business user’s needs. There is one downside to keep in mind that is often mentioned by buyers, however. This model has a slightly shorter battery life than many other ultraportable notebooks. If you need your laptop to run for a full 8 hour work day without plugging in, either turn down the brightness or look for a different model. 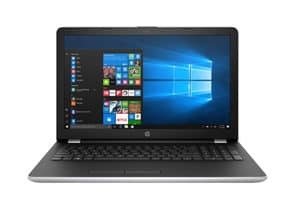 Looking for a lightweight laptop to carry around to classes? This should be among your top picks for 12 inch notebooks if you prefer Mac over Windows! 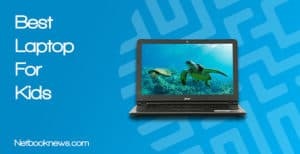 To find the best laptop for a student, whether in high school or college, you want a specific combination of functions. A student laptop should be lightweight, durable, and have enough storage space to save school projects. That’s what you get with the 12 inch version of the MacBook. With 512GB of space (plus storage through iCloud) you won’t run out of room. 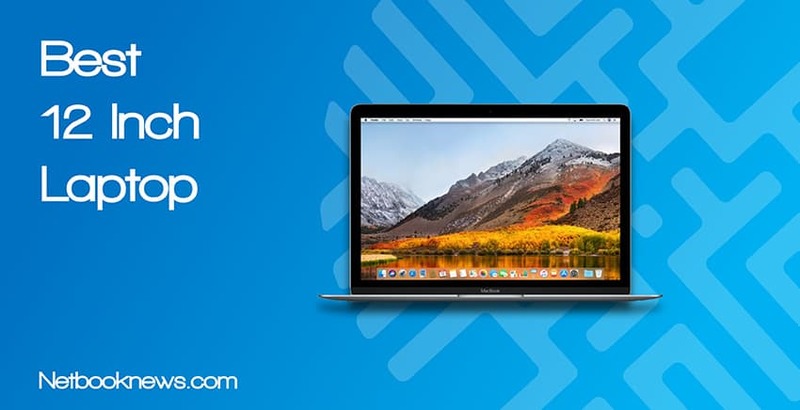 If you’re a student who like to synch up your various Apple accounts (like iTunes on your phone) to your laptop, this is the perfect pick. 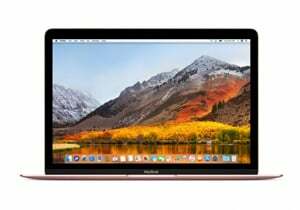 Apple’s MacBook will more than meet your needs for browsing the web from a dorm room or bringing along to class for note taking or emailing your professors. You also get a retina quality screen for the asking price, along with a backlit keyboard. Between the slim profile and high specs, there aren’t many downsides here. The one complaint frequently brought up by buyers is that this model only features one USB-C port, so you will need a hub or adapter if you are using multiple peripherals. If you want to save money for buying books or keeping your dorm’s beer fridge stocked, you can also find this model refurbished for around half the price. 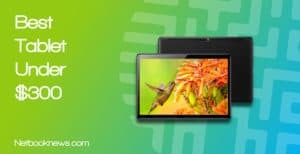 Like with an Android tablet or an 11 inch hybrid Chromebook, the big draw here is in the portability aspect. All of our contenders listed above tend to be around the same weight and profile size as the smaller 11 inch machines. They are often closer in size to a tablet than a full laptop. A single inch can make a huge difference in performance, however! There’s a clear increase in specs at the 12 inch size over smaller machines. With more room to pack in extra hardware, you typically get 8GB of RAM at this size. You’ll also notice much newer processors that can provide increased speed. When you hit the more expensive models, storage capacities absolutely skyrocket. You won’t typically see 512GB SSDs in 11 inch machines, but you can get that level of storage space in a 12 inch. First and foremost, you will pay a premium for the compact, lightweight design of these slim profile machines. 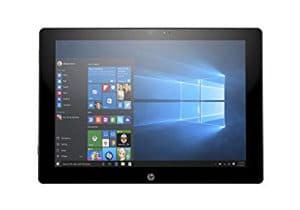 In many cases, you will actually end up spending more on a 12 inch device while getting lower specs over larger laptops. The draw here is the light weight and ease of carrying over high end hardware. If you go with a 13 – 15 inch model, you can typically find units with more RAM, faster processors, and larger drives — and all at the same or even lower pricing. As with most other ultrabooks, 12 inch devices typically aren’t designed for user upgrades. When you a buy one of these models, you will have the same internal RAM and hard drive for the machine’s entire life cycle. 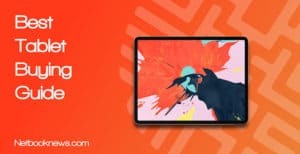 The vast majority of 12 inch notebooks will feature touch screens, and many will also include a 2-in-1 design. Whether they have a 360 degree hinge or a detachable keyboard, computers at this size are meant to be used in multiple configurations. With the increased portability of an ultrabook, it makes sense to include the touch feature. From tapping icons on an app to jotting notes with a stylus, smaller screens just work better for touch displays. Not all users need that functionality, however. Office settings may not require any touch screen apps, and if you prefer typing with a keyboard you may never use the touch display. If you want the more typical clamshell design, you can find some older HP EliteBook models at 12 inches that lack the touch screen. In most instances though, you’d be better off getting a larger laptop if you need to ditch the touch feature. As our five contenders should have made clear, you don’t have to sacrifice power to get an extremely portable and lightweight computer. What do you think of our picks for the best 12-inch laptop available in this year, and have you seen any others we should be checking out? Sound off in the comments section below!